Sampling of a place of installation. Installation of the internal block of split-system. video-grant on installation of split-systems and installations of air conditioners. Additional filling a coolant, trial start. We thank you for sampling of our air conditioner. Prior to the beginning of installation it is necessary well though to read this long instruction and to keep it for the inquiry. Independent installation and air conditioner maintenance service it is forbidden. Wrong installation or repair can lead to ignition, defeat by an electric current and an air conditioner exit out of operation. After air conditioner purchasing address in авторизованною the organisation for air conditioner installation. Split-system installation — the installation instance, repair and the subsequent THAT of the air conditioner should be made by the qualified and authorised specialists climate technicians — otherwise the producer of the equipment of responsibility does not bear for faults or air conditioner breakage. It is forbidden to bar воздухозаборные and airdistributing apertures. Difference of altitudes between internal and outdoor blocks should not exceed 5 m.
wall should be enough strong to stand weight of the assembly and to prevent its vibration. internal block of split-system should not place under the influence of direct beams of the sun. The explanatory: sun rays should not get on a lattice of the capacitor i.e. if the outdoor block сплит systems costs on a roof block face sheet should be ... on the Southwest. A muzzle сплита — on the southwest. It is necessary to provide appropriate tap of a condensate and vent line connection to the outdoor block. The block should not place near to daylight lamps. Yes, day, so-called light, spoils not only eyes and sight, but also puts out of commission plastic of the internal block сплит systems. The block should place on distance not less than 1 metre from the television receiver, the radioreceiver and other household appliances. Here not Russian writers of instructions meant currents of the microwave oven of radiation, i.e. near to a microwave it is impossible to place wireless apparatuses. The distance should be not less than 1 m. from a microwave. design of arms, fastenings, — should be enough strong to stand weight of the assembly and to prevent its vibration. The block should place in well aerated and not a dusty place, not to be exposed to direct affecting of a rain and direct sun rays. The explanatory: sun rays should not get on a lattice of the capacitor i.e. if the outdoor block сплит systems costs on a roof block face sheet should be directed on the Southwest. A muzzle сплита — on the southwest. The stream of getting out air and noise at block work should not prevent associates. block near to places of possible leak of inflammable gas is forbidden to have. Remarks: the aspect of an assembly plate in different models differs; in the given instruction their image is resulted only for an illustration. — Fixture of an assembly plate fig. The assembly plate should be fixed on strong vertical стеновой designs, and fastening apertures should be planned at first, and only then to drill. According to an assembly template hole in an aperture wall. Diameter of an aperture should make 55-65 mm. Wrench screws from a cover of electric section, put forward it. Instal into place fastening and a cover of electric section. Installation should be spent according to the current legislation. Air conditioner installation in laundries is prohibited. block should place at altitude not less than 2,3 m from a floor. block should place near to a food socket. For models hlado — productivity more than 4,6 kw (17000 btu/ch) conducting are necessary to equip with the release with a positive allowance between contacts not less than 3 mm, and also УЗО face value not less than 10 мА. drainage hose should pass under a connecting tube. To twist a drainage hose it is forbidden. It is forbidden to draw for a hose during its isolation. Section of a drainage hose passing indoors it is necessary warmly-isolate. connecting route and drainage hose is necessary for wrapping up a felt tape. In places where the line adjoins to a wall, it is necessary to lay теплоизолирующие inserts. If the tube is inferred through the right lateral panel of the internal block, cut a cap «1». If the tube is inferred from the right lower corner, cut a cap «2». If the tube is inferred on the left side of the internal block, cut a cap «3». Installation of a drainage hose. For hose reinstallation it is necessary to exchange a drainage hose and a cap. Yawning elements can lead to liquid leakages. To pass a tube through an aperture in a wall; to hang the internal block on an assembly plate, pressing on the bottom part of the block before click. From the internal block kol-in line bends should not exceed 10.
cap of a tube of the evaporator is cut off directly ahead of the installation beginning. Pit air, turn off a screw nut of a connecting connecting pipe of the evaporator (fig. 1). Put oil on a junction and on a cowl. 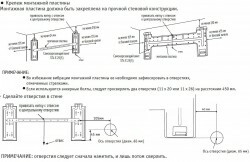 Отцентруйте a connecting pipe with a junction circuit cowl, torque a screw nut a key (fig. 2). 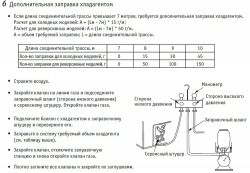 Tubes of the internal block are under pressure; for стравливания air it is not enough easing of a screw nut. There is an ordinary opinion that the universal tool for installation of split-systems is, — a hammer... It not so. Application of excessive force can damage tubes. If недостаточнно long for joining to the internal block, it it is possible to extend a drainage hose with the hoses going as a unit. section of a drainage hose passing through a premise should be wrapped up special теплоизолирующим a material. — Putty close up apertures in a wall. — A yoke fix a pipe and a drainage hose in a demanded rule. — If the diagramme of connections is absent, it is necessary to use the electro-circuit design. — If actual colour marking differs from resulted on the circuit design, it is necessary to be guided by actual marking, considering that fact that it is necessary to connect terminals of one colour. connector 1 is connected to matching socket of the internal block. connector 2 is connected to matching socket of the outdoor block. If the cable for the data line is got separately the recommended square of cross-section should be above 0,75 мм2. At wiring it is necessary to be guided by the circuit design cemented to internal and outdoor blocks. power cable and the data line between blocks should be connected to individual terminals according to the resulted circuit design. Connecting cables should be fixed a yoke. — Internal and outdoor blocks should be connected a special cable. At connection it is forbidden to put excessive force. Leaky connection can lead to ignition. — The electric section should be reliably affiliated and fixed in order to avoid ignition or defeat by an electric current because of hit in a dust or a moisture. — Freonoprovod at system work is warmed up; the connecting cable should not adjoin to it. — The power contour to which all blocks are connected, should match to the parametres resulted more low on resistance. For more detailed information it is necessary to consult with the local electropower company. This data can change without the prior notification as the equipment is constantly updated. The video-grant on installation сплит systems and installation of air conditioners. Chronology of installation both necessary skills and tools. — Put in into one of apertures bottom the panel of the outdoor block a drainage connecting pipe of an appropriate size and connect it to a line of tap of a condensate. Put on the joint and развальцованный an end face a connecting pipe a little sealing oil. Отцентруйте a connecting pipe and a connecting tube; torque a screw nut on a connecting tube. The same twisting moment, as for a connecting tube of the internal block. Wrench a cap of valves of a liquid and gas, and also a screw nut of a service connecting pipe. Six-sided key turn the valve on a gas line on 90 ° counter-clockwise and in 10 seconds close it. Put soap water on joints for check about gas leaks. If leaks it is not revealed, again turn the valve of a line of a liquid on 90 ° counter-clockwise. In 10 seconds push the service point of a line of gas; getting out steam means стравливание air from system. How correctly to dress the air conditioner, скоко it is necessary gas? Me excite and oppress doubts, what to me to do, if I transfer the сплит system gas? Split system blows up!!! To release a coolant in an aerosphere it is forbidden. According to the Kiotsky report it is hotbed gas with the following potential of global warming: 1900 (R410A), 1600 (R407C), 1700 (R22). Tubes are necessary for cutting snug the pipe cutter./Soed.trubka At 90 °/*! Clean agnails from a tube end face. — If the length соединиительной routes exceeds 7 metres, the additional filling a coolant is required. Calculation for cold models: And = (Lm — 7м) * 15 г/м; Calculation for reversible models: And = (Lm — 7м) * 50 г/м. And = volume of a demanded filling; L = length of a connecting route. Close the valve on a line of gas and connect a filling trunk (low-pressure side) to the service point. Open the gas valve. Connect a ballon tyre with a coolant to the priming point and turn over it. Dress in system the demanded volume of a coolant (see the table above). Close the valve, disconnect filling station and again open the gas valve. Before the trial start beginning it is necessary to familiarise with safety precautions attentively. 2. Start-up from the wireless remote-control station. If at turning on the internal block publishes a double audible signal it means that the air conditioner can be operated from panel DU. For check of correct work serially push panel buttons. 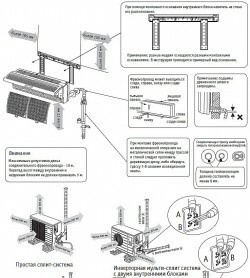 Air conditioner installation, the installation direction сплит systems.